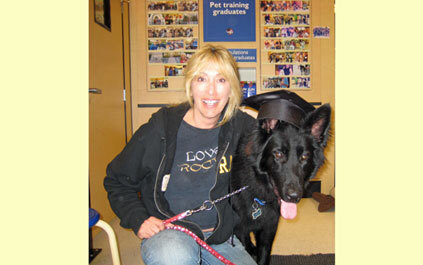 I thought you might enjoy some photos from Cash’s graduation from beginner obedience Tuesday night! He actually was promoted to the intermediate class after only 4 beginner lessons! It must be his trainer! heeeheeeheee!